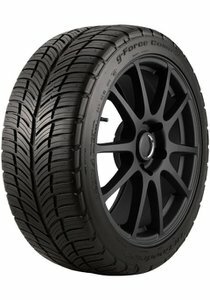 BFGoodrich's best ultra-high performance all-season tire ever. Performance Tread Profile - Consistent tread block rigidity balances acceleration forces within the tire footprint. 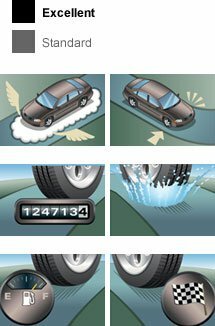 Advanced Mold Design - Squared-off shoulder and enhanced contact patch shape evenly distributes stresses across the tire footprint. Directional Tread Design - Large, rigid tread blocks optimize rubber-to-road contact for ultimate dry grip. All-Season Compound - High-silica, cold-weather flexing compound designed for the best wet and dry grip.